The aim is to write one's penfriend a letter in which one describe one's ideal school. 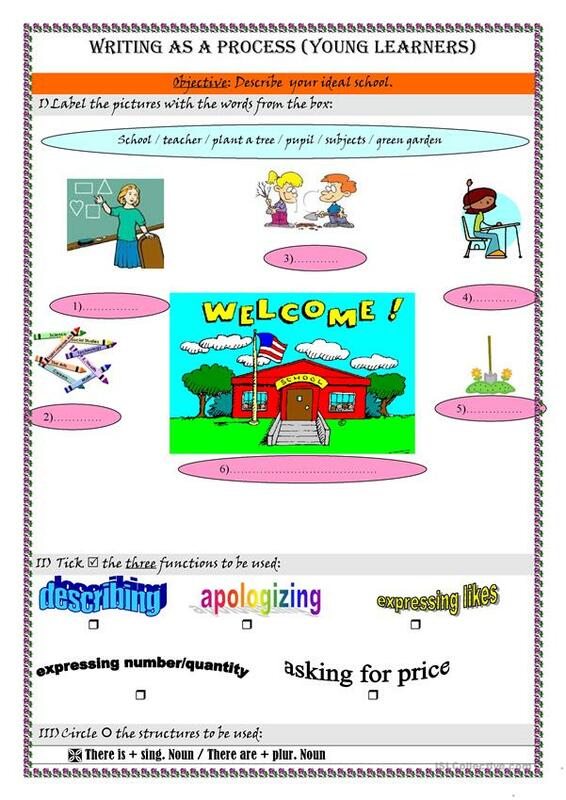 This printable, downloadable handout is meant for high school students at Elementary (A1) level. 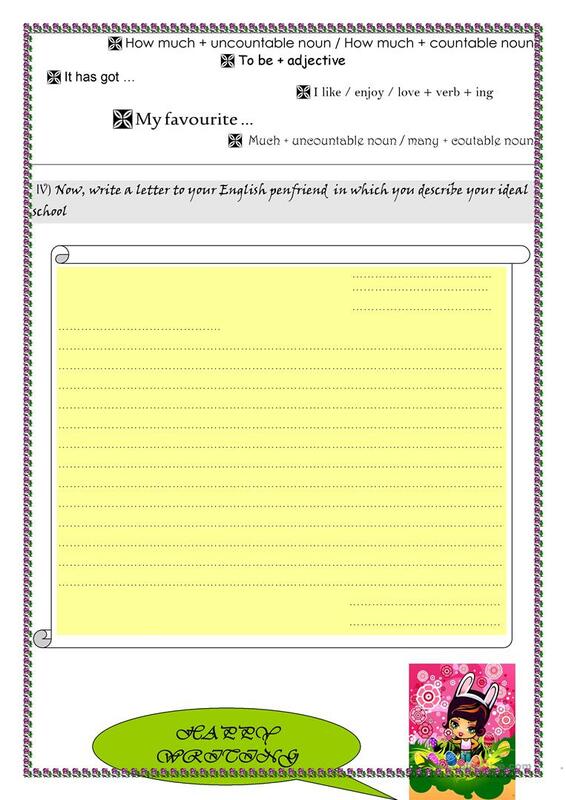 It is aimed at consolidating Countable and uncountable nouns in English, and was designed for developing your class' Writing skills. It is about the theme of School.